Some companies make the switch of how they manage their office space purely for financial reasons. The physical office can be one of the most costly parts of doing business. For many, switching from dedicated offices to a space that utilizes shared resources is a no brainer. 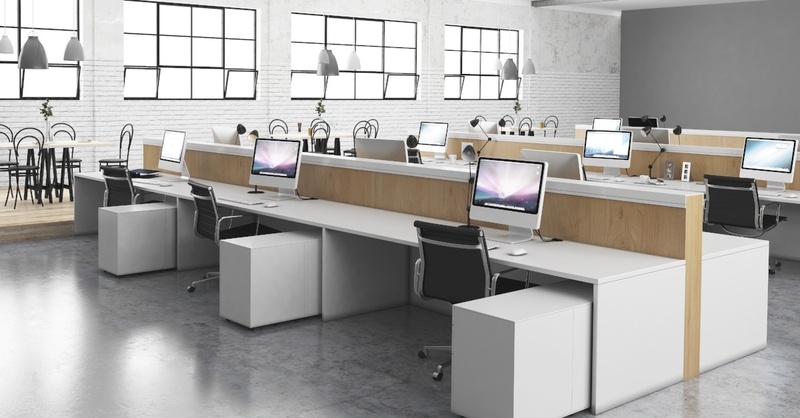 Research has shown that up to 50 percent of desks sit unused on any given day at a traditional office. That’s a tremendous waste of real estate coin. Office structures that emphasize flexibility recognize that much of today’s workforce is only occasionally in the office. They are on the road, working remotely, or part of the growing field of freelancers and contract workers who don’t need a permanent workstation. In addition to companies cashing in on the capitalization on square footage and resource utilization, workers who have a variety of spaces at their disposal have reported feeling more productive, more creative, and more appreciated. Many experts theorize that a flexible office environment with open spaces and shared resources promotes collaboration, communication, and more creative thinking. Creating an office environment that is an alternative to the traditional office space must be managed carefully. Without the proper systems in place, your newly designed shared office space could quickly devolve into your newest headache. On days that happen to have high occupancy, seats can seem to disappear quickly. Some spaces might be more popular than others are, such as those that provide hook ups to large screen monitors or desks in prime locations away from the scrum of things. You must also consider visitors. Those consultants, contractors, and colleagues traveling from another site all need to find a place to work in an already unfamiliar environment. No one wants to start their day with an aggravating search for a place to work. As a result, companies are adopting a trend known office hoteling, in which workers schedule their use of workspaces. This eliminates the first-come-first server mentality of claiming a desk for the day without sacrificing the flexibility that employees have come to expect. Musical chairs was fun at your sixth birthday party. It’s not fun in the office. Office hoteling is an increasingly popular style of office management for industries such as law, who often have attorneys traveling between offices. When every minute is a potentially billable minute, time wasted searching for a desk is quantifiably costly. Implementing an office hoteling method of office management won’t work without the right system to fit your needs. If you are newly considering an office hoteling process, you might not even know what all of those needs are. 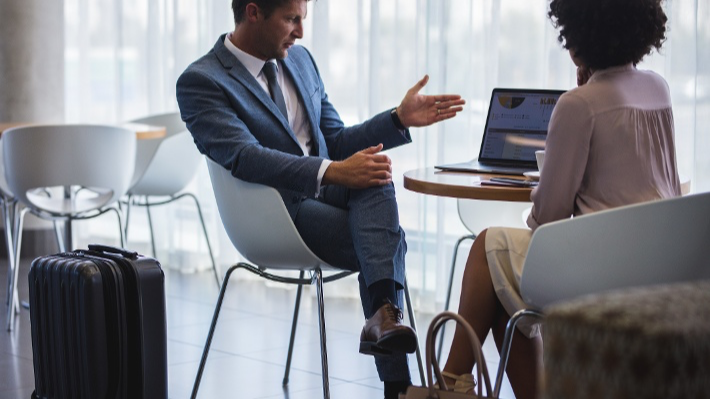 The following is a checklist of features that will ensure your transition to an office hoteling style of office management is smooth and beneficial for employees, freelancers, and visitors alike. Obviously, any type of office hoteling experience is going to rest on the back of a resource booking system that allows users to easily search for and book hot desks, huddle rooms, and other office resources. The right system will help you plan ahead, enabling users to book resources across locations so a worker in one office can book her desk at another office location before she even gets there. 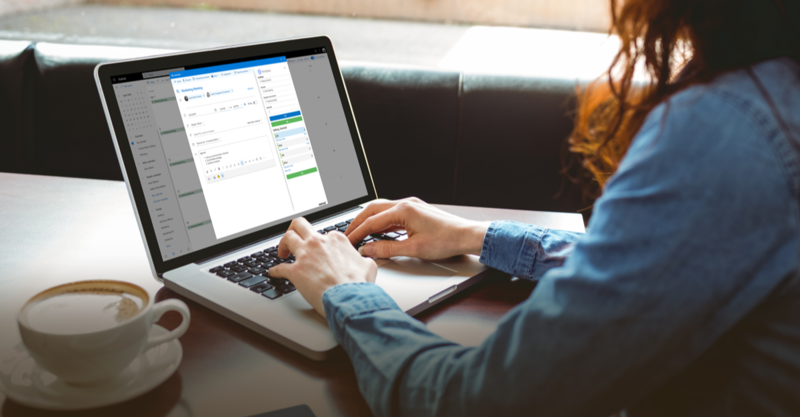 Your office hoteling booking platform should be seamlessly integrated to Outlook, Office 365, or whatever other calendar platform keeps your office humming. Users should be able to access it from their desktop or mobile devices so they can book from home, on the way into the office, or as they walk through the hallways. Speaking of hallways, you can demystify yours. An indoor wayfinding feature makes sure your employees and guests know exactly where they’re going at all times. Once a desk has been booked, users can pull up an interactive floor plan right on their mobile device that includes directions to meeting rooms, desks, printing stations, restrooms, kitchens, and any other point of interest. Don’t make visitors waste time at the front desk. With an automated check in tool built in to your resource booking systems, visitors can breeze right through with a fast, intuitive touch screen experience. From the system, they can print their nametag, and access maps, directions and important office information such as the Wi-Fi password or customized notes. Security is important for you and your offices guests, so check that any office resource booking system you consider comes with tightly locked GDRP data management standards. Maximize your office’s utilization with digital check-in screens attached to each hot desk and outside each meeting room. Fully integrated and synchronized digital meeting room signs let everyone who passes by know if a room is occupied, by whom, for what purpose, and for how long. Users can snag an open room or desk on the fly. Digital room displays enhance utilization, so you know you truly are making the most of your shared resources. If no one has checked into a booked resource within a set window, the system will automatically open it up for other users so desks and rooms never sit empty while others are searching for a place to work. If someone finishes early, one tap to the digital display will release the room. Conversely, if a worker needs more time, they can view any upcoming bookings and add time if it is available. A robust display tool will even have a built-in fault reporting feature so if something at that workstation isn’t working, users can report it with a few taps of the screen. The system will automatically instantly report the issue to the right person so no one has to go searching for help. With the right system in place, like AskCody’s complete Workplace solution, the only thing your office hoteling experience will be missing is room service. Oh wait, technically we have that covered too. When thoughtfully executed, office hoteling offers the level of flexibility today’s modern workers crave without the frustration of an inefficient search for resources.